After the presents are unwrapped and the eggnog is empty, it's time to think of getting out of the house and embarking on an amazing local adventure. With the kids still home from school and out-of-town relatives lingering, visiting your local zoo is a perfect post-Christmas family activity. All the more so given Dec. 27th is Visit the Zoo Day. The World Association of Zoos and Aquariums (WAZA) will extend its reach across Europe with the selection of annual conference hosts for 2021 and 2022. The largest groups are scientists and independent experts. The vast majority of signatories are employees of similar independent universities and institutions, from Harvard to St. Andrews and Berlin. The list is called “Who Is Who” of the marine mammal researchers nowadays. Thousands of visitors are reached each day by Loro Park with its educational Orcashows. Some 263 cetacean strandings were reported around all of Ireland, 44 more than the last highest level in 2013. SAN DIEGO (CNS) - SeaWorld San Diego announced Wednesday that its rescue team provided assistance to nearly 1,000 birds and marine mammals this year, while urging the public to continue to report animals in distress. Have you seen the ads on TV with the slow piano music and the tear-jerking images of cats and dogs? Ever gotten a letter in the mail asking for a donation to help needy pets? You may be shocked to learn that the group behind these solicitations, the Humane Society of the United States, is actually not affiliated with your local humane society pet shelter, and runs zero pet shelters. When examining claims in the scientific press one always tend to look to whether or not the evidence that this is based on has been subject to peer review. Science journalism can be something of a mixed bag and with the ever increasing need to produce headlines that will generate attention (clickbait) and advertising revenue. A recent scientific paper has highlighted the relationship between food scarcity and low reproduction of one of the North Pacific killer whale populations. 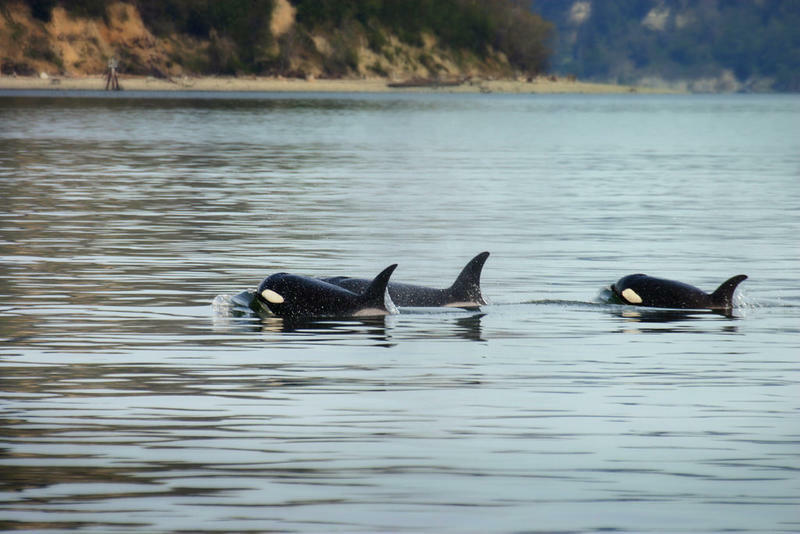 These are the southern resident killer whales, a subpopulation of three pods that feed primarily on salmon and live permanently on the shores of Washington State and British Columbia. Unfortunately, today we live in an age of ignorance and the misrepresentation of science by animal rights groups. Additionally, this has been propelled by the media, social media, and now by business owners. The latest announcement regarding unlikely partnerships is not the first time a company has been guided by public opinion. Unfortunately we are living in an alternate reality where public opinion matters more than science, so much that an era of zoophobia has begun. Scotland isn’t exactly the first place a person thinks of when worrying about getting a sunburn. However, a dolphin affectionately known as “Spirtle” has proved that sunburns can happen anywhere and on any animal. And we’re talking about a really bad sunburn. In 2010, the juvenile female killer whale (Orcinus orca) named “Morgan” was rescued by marine animal health professionals at Dolfinarium, Harderwijk from shallow waters on the Dutch coast at the request of the Dutch Government. Over the course of a year with constant expert care, Morgan was rehabilitated and her health restored, and after thorough and repeated review and due diligence by the Dutch Courts, The Dutch Government determined that Morgan was non-releasable and issued a CITES permit authorizing her transfer in 2011to Loro Parque, a professionally accredited zoological park on the island of Tenerife, Spain to join five other killer whales. Upon arrival at Loro Parque, and under a comprehensive behavioural and veterinary care program, Morgan integrated rapidly and smoothly into the existing social group. Today, 10th March 2016, very early in the morning, the Aquarium of the best Zoo in Europe welcomed seven baby Sandbar sharks. After a gestation period of 12 months, the female of the Sandbar shark (Carcharhinus plumbeus) “Gara” gave birth to seven perfectly healthy pups. Loro Parque continues to strengthen its commitment to constant innovation in the conservation labours of biodiversity and awareness rising of the importance of environmental protection. 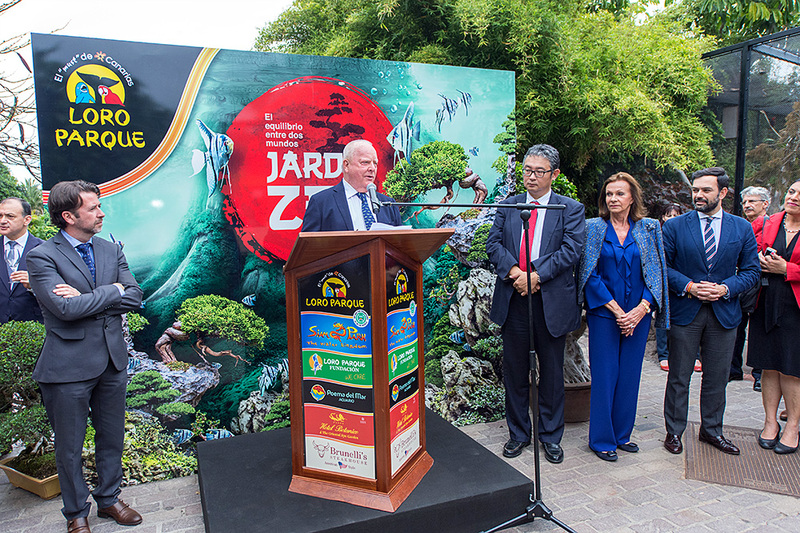 To this end, on Friday afternoon, 29th April, the zoo celebrated the inauguration of the new and fascinating Aviaries of South America and the arrival of the Red Pandas, Annapurna and Posee. This week, Loro Parque welcomed the German paratriathlete Markus Häusling, a renowned sportsman in his country who has a professional sporting career full of successes. Some recognitions stand out among his award, as the Silver Medal in Middle Distance during the European Championship 2014 and the ninth position in the World Championship 2013. Loro Parque Fundación has recently achieved a new international success in its conservation and protection labour in nature. This week nine specimens of Lear’s macaw, born and raised in Tenerife, were shipped to its native Brazil to reunite with their companions. It is the most significant repatriation ever made to Brazil of these critically endangered macaws thanks to Loro Parque Fundación’s breeding centre after ten years participating in an international programme for their preservation. On February 24th, specimens will be welcomed by “Foz de Iguaçu” birds’ park’s technical manager, Dr. Yara Barros, accompanied by Juan Villalba-Macías, coordinator of Bioparque M’Boricuá and also a member of Loro Parque Fundación. The video represents just a few minutes of images of Morgan,right after the end of a regular presentation in OrcaOcean. It is absolutely illogical and absurd to assume that the length and the quality of such video would be sufficient to make a conclusion and declaration of such nature. In recent weeks we have witnessed different requests made to Loro Parque about the orcas, from various organizations that claim to defend the rights of animals. These requests are not based on evidence but are based on assumptions about the lack of animal welfare that have never been verified. The case of the Great Ape Project Spain organization is even more embarrassing, because their accusations have been proven false on several occasions.